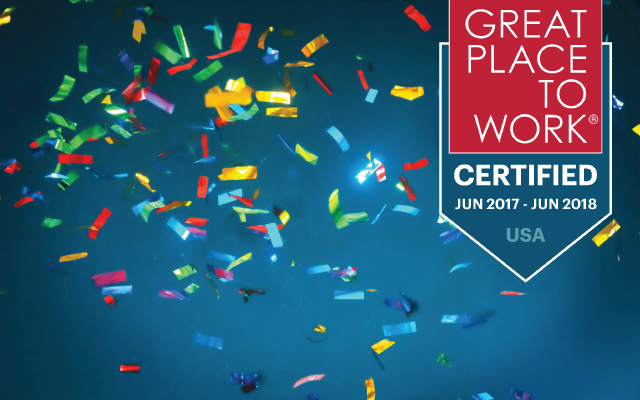 Legal & General America (LGA) is pleased to announce that we have been recertified as a great workplace by the independent analysts at Great Place to Work®. LGA earned this credential based on anonymous survey responses from over 350 employees. Competing against other companies across the country, LGA participated in a selection process that included an anonymous employee survey and an in-depth questionnaire about our benefits, perks and culture. We are pleased to report that close to 75% of our employees ranked LGA as a great workplace overall, and over 90% said they take great pride in their work and feel good about the company's contributions to the community. Our employees' passion, dedication, innovation, and hard work, as well as our annual charity campaigns, wellness programs, and career development opportunities contribute to creating our great workplace culture. Great Place to Work is the global authority on high-trust, high-performance workplace cultures.Through proprietary assessment tools, advisory services, and certification programs, including Best Workplaces lists and workplace reviews, Great Place to Work provides the benchmarks, framework, and expertise needed to create, sustain, and recognize outstanding workplace cultures.In the United States, Great Place to Work produces the annual Fortune “100 Best Companies to Work For®” list and a series of Great Place to Work Best Workplaces lists including lists for Millennials, Women, Diversity, and more.